Last chance to stave off a penalty reduction in reimbursement. This compliance topic is in response to requests by many private practice members to understand the Physician Quality Reporting System (PQRS) and to effectively report to stave off future payment reductions. The focus is on claims-based reporting. American Physical Therapy Association (APTA) members are encouraged to visit www.apta.org/PQRS for a wealth of information about the PQRS program including reporting requirements. Q: My Medicare reimbursement this year is being reduced for each code that I bill. When I called my Medicare Administrative Contractor to inquire about this reduction, I was told that it was related to nonparticipation in the PQRS program in 2013. Is there any way that I can stop this payment cut? CMS alerted providers to the reality of payment reductions for nonperformance throughout 2013 and, in fact, implemented a provision that if one code for one patient was successfully reported a provider could stave off the 2013 1.5 percent reduction to Medicare reimbursements. Q: Is participation in PQRS voluntary? If it is voluntary why is there a penalty for not participating? Can you clarify the rules regarding participation? A: Participation is voluntary; however, the penalties are now in effect and are increasing. Some providers elected, for a variety of reasons, to not participate in 2013 and 2014, weighing the loss of Medicare reimbursement against the cost of participation. The 1.5 percent payment reduction this year is based on 2013 performance. Providers not participating, or not successfully participating, in 2014 will receive a 2 percent payment reduction in 2016. If an eligible provider does not successfully participate in 2015, a 2 percent payment reduction will be applied in 2017. During the early years of PQRS (originally called Physician Quality Reporting Initiative [PQRI]), a bonus was offered for those who successfully participated. Q: Is there still time to participate in PQRS in 2015 and if so how does a private practice get started? A: There is a last chance opportunity to begin participation in PQRS this year in order to prevent the 2 percent penalty in 2017. Time is short and participation will need to be monitored closely for accuracy. Each individual provider will need to report all 6 claims measures on 50 percent or more of all of eligible Medicare patients for the 2015 calendar year. Given a late start it is likely that measures will need to be reported for 100 percent of Medicare patients. The APTA has resources to assist a provider new to PQRS at www.apta.org/PQRS. Providers can start by using claims-based reporting, which is free. There is also an option to report via registry. Several therapy-based registries exist, including those that are associated with specific electronic medical record (EMR) programs. The 2015 listing of registries through which therapy providers may report can be found at: www.cms.gov/Medicare/Quality-Initiatives-Patient-Assessment-Instruments/PQRS/Downloads/2015_Qualified_Registries.pdf. 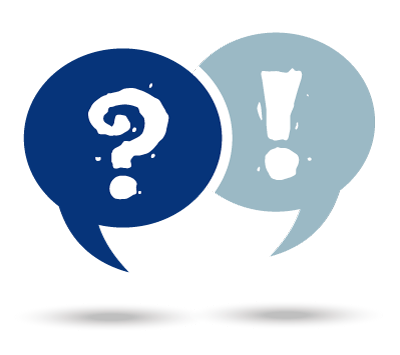 Q: What are the reporting requirements for PQRS claims-based reporting? A: Measures required for physical therapy claims-based reporting in 2015 are noted in the table below. Additionally APTA has provided content on both claims-based reporting and registry reporting that should be used as a guide when initiating PQRS reporting to ensure compliance. APTA also provides helpful data collection sheets for each measure. Q: If a clinic is getting a late start to PQRS, how can they ensure that they are meeting the reporting requirements? A: Providers should visit the QualityNet website to register for an account. QualityNet also provides a Help Desk for providers. QualityNet can be accessed at: www.qualitynet.org/portal/server.pt/community/pqri_home/212. 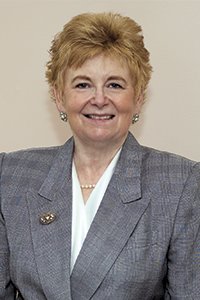 Q: I plan to leave my current private practice at the end of June and in this practice we are not participating in PQRS. I am going to another private practice in the same town that does participate in PQRS, and they are concerned because I did not previously participate that I might affect their results and ultimately their reimbursement. My new practice wants to ensure that they do not receive a payment reduction for my therapy billings. A: There is good news for your new practice. Participation in PQRS is tied to both the individual provider (physical therapist) number and the practice TIN. So your participation at your previous practice linked your NPI number with that practice’s TIN. When you move to your new practice your participation will be measured for that practice, and will not take into consideration participation (or nonparticipation) with your previous practice. Q: Can you explain the difference between PQRS and functional limitation reporting (FLR)? Are they using the same G codes? A: The PQRS program as well as functional limitation reporting both use “G codes,” which often is the source of confusion among providers. (Not all PQRS reporting is represented with a “G code,” but all functional limitation category selections for current function, goal function, and discharge function are “G codes”). 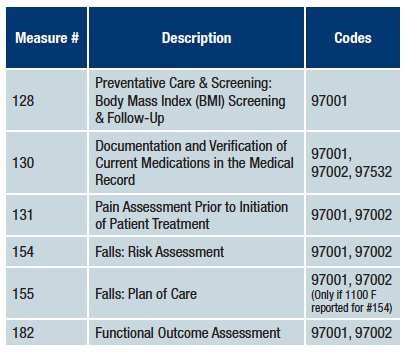 PQRS Quality Data Codes (QDCs) coding is unique to each measure and the measure specifications for use of the codes is contained in each measure’s description. Functional limitation reporting, often referred to as claims-based outcome reporting, is required for all providers billing the Medicare Part B program for therapy services. Only providers enrolled in Medicare as a “supplier,” such as a physical therapist in private practice, can participate in the PQRS program at this time in large part due to the ability to report based on individual therapist NPI numbers. Therapists working in hospitals, skilled facilities, rehab agencies, Comprehensive Outpatient Rehabilitation Facilities (CORFs), and home health agencies do not bill under their provider number, but rather the facility number and bill using the UB04 claim form. Private practices (a Medicare “supplier”) bill using their own provider number even if benefits have been assigned to a group practice on the CMS 1500 claim form.